"Joy Kuebler Architect P.C. was hired as a landscape consultant for the Naval Park Landscape Project. Our planning committee challenged her to design specific segments of the Park’s landscape that would balance the serenity and beauty of the memorial grounds with a need to update and revise the Park with new and colorful plant life. With the added test of having to work with a committee of “master gardeners” that had plenty of suggestions on this project, I found her to be patient, responsive, and collaborative. She has an enviable ability to listen to others’ opinions and ideas, and gently reshape them into a design plan that is professional and reflects the collective interests of the group. Joy demonstrated a good command of plant knowledge and the ability to create flexible design plans to meet an uncertain budget. She is responsive, creative, energetic, and pragmatic. I truly enjoyed working with her." "Your overview of the component parts of street design gave the participants the needed vocabulary to discuss improvements. The group activity in which we shared our roles and values in our community was friendly, and it established the cooperative and forward thinking atmosphere needed to generate constructive ideas. Most important was the walk throughout the Village center featuring pictures of street design improvements in various critical places. The scoring procedure generated much discussion on site which will be helpful in completing an effective final design. 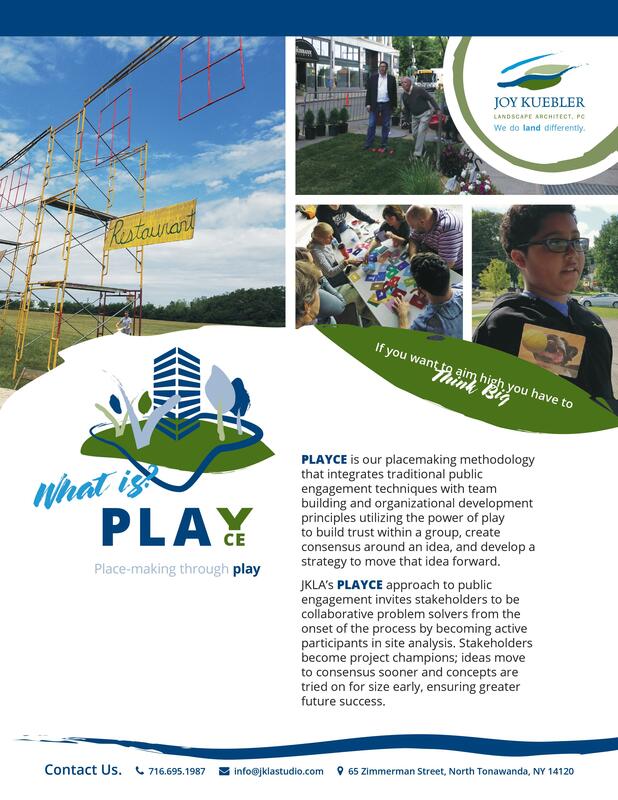 This was a sociable and effective way of engaging our residents – much more than the typical evening meeting reviewing blue prints in a conference room. We look forward to working with you to finalize the Franklin Street plan." "I cannot thank you enough for your patient, consistent and extremely helpful advice and the totally satisfying conclusion of the work. The result is more than I could have hoped for, and I attribute that to your effectiveness and dedication to the outcome that you could envision and I could not, at that time, even imagine. What we have left is the remarkable product of a clearly professional, imaginative and dedicated landscape architect. I am left with an unquestioning and lasting impression that I will continue to share with any others who might be looking for similar assistance and whose interest comes to my attention." "Joy brings a unique perspective to the work she does. It includes a profound and detailed knowledge of the living materials that are part of her designs. Environmental, regional climate and maintenance issues all get due consideration in her designs. She has a focus that is clear and imaginative whether the spaces she is asked to work in are vast or small. And often it is the small spaces that get left behind in grand schemes. She demonstrates the patience and recognition of not leaving the small and unseen for granted. Joy has been a valued colleague and one who will willing to put the client’s needs first while stretching the client’s vision and knowledge by her enthusiastic and well documented presentations." "As the designer for a sustainable garden sponsored by Buffalo Spree at the Junior League Show House, Joy Kuebler produced a stellar and inventive outdoor landscaping project. The garden was beautiful, functional, and provided essential education about green practices such as water conservation, green roofs, composting, and the re-use of salvaged materials. I was impressed by every aspect of Joy's work and professional demeanor; she is undoubtedly one of the top landscape architects in the area. She is a font of creativity, but is equally adept at applying that creativity in a practical and economical manner. One has to say it: she is a joy to work with!" "Joy and her team are very creative landscape architects and professionals. They have created award winning designs for various Western New York projects that have helped accentuate the significance and natural beauty of the site." 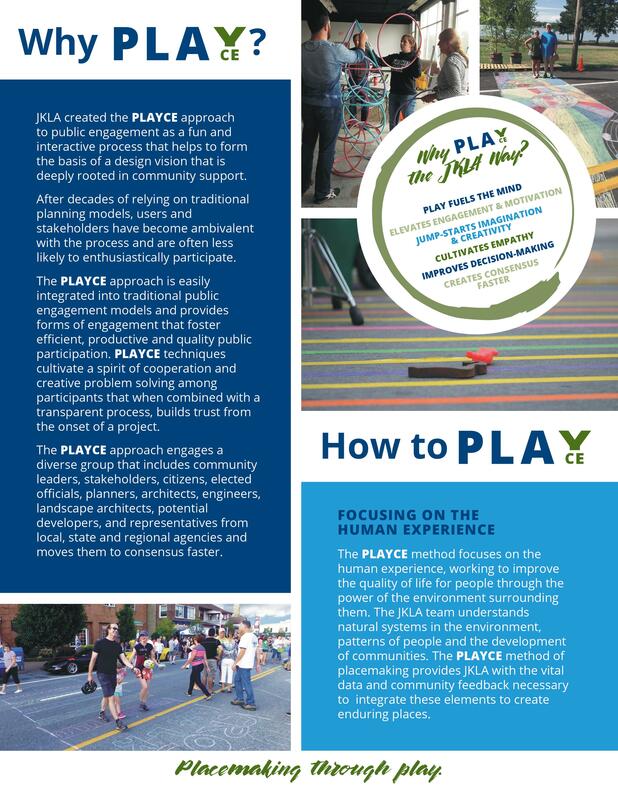 President, Buffalo Urban Development Corp.
"Joy and JKLA are very creative and energetic in their approach to design solutions and working relationships. A great addition to any design team!" "I've known Joy for a long time, first as a colleague working for the same firm, and later as a consultant working in several of my projects. Joy is a hard worker and a talented contributor to any construction project team. She blends creativity and technical knowledge with budget and schedule awareness. And she does it all with a smile and a seemingly endless positive attitude. She is our go-to person for Landscape Architecture. I consider it a privilege to work with her." "Joy is an upbeat, creative, and competent designer who delivers an imaginative product on time and within budget. What more could you ask for?" "I have always found Joy to have a high level of professional enthusiasm and passion for her work in every capacity. She is a creative designer and excellent collaborator. We have collaborated on several award winning projects, such as the Eastwood Residence Hall at Canisius College and the new Middle School/High School project for the Chester Union Free School District. The depth of knowledge and experience that Joy brings to our project teams is a valuable asset and an invaluable resource. She integrates her landscape designs seamlessly with the building design and always complements our design approach and philosophy for each particular client. We consistently seek Joy’s services to work with our firm for every type and level of project." "Joy Kuebler and her team are creative, high energy, professionals! I had the pleasure of working with them during the redevelopment of an existing under-utilized enclosed green-space at the Dr. Drew Science Magnet #90(a Buffalo Public School). The school is located in an area where crime is prevalent and the neighborhood is dilapidated and vacant, making it even more important that children be given the chance to learn and play in a safe, structured outdoor environment. Joy and her team have gone above and beyond my expectations to ensure the design was completed within budget, and without any delays or excuses. The end result is a beautiful natural teaching environment which provides connections to the NYS standards, and fosters the development of the next generation of environmental stewards!" "It has been my distinct pleasure to work with Joy and her associates on a number of projects. 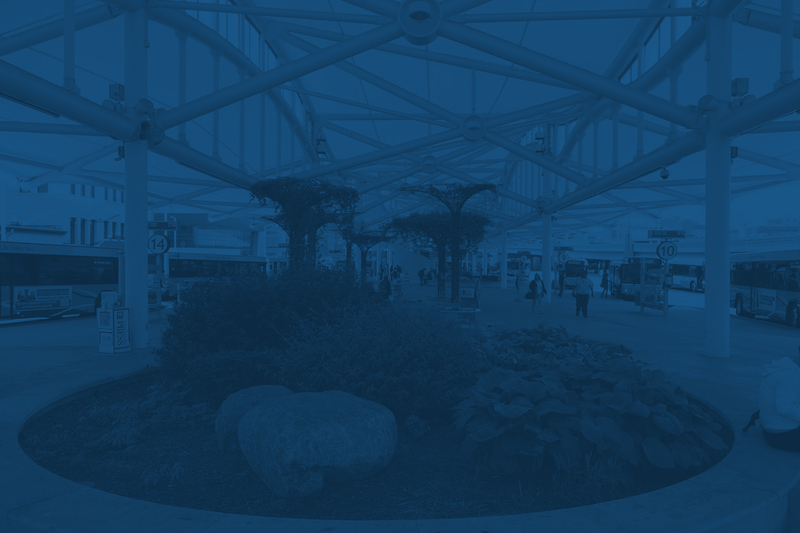 Designs for facilities in Kalamazoo, Michigan, Grand Rapids, Michigan, and Niagara Falls, NY are all examples of site and landscape architectural design that she has completed. In each case, the design was creative, focused on the users, and complimentary to the building architecture. She has been a valuable part of these design teams, and an important reason why these projects are so very successful." "It was a great pleasure for my wife and me to work with Joy Kuebler and her associates in designing an Asian garden for our home in Fredonia, NY. She skillfully adapted our ideas to the character of our yard and its plantings. At each step of the way she offered us a variety of ideas to achieve our wishes. We were especially pleased that Joy suggested options both in design and materials that captured our intentions within our budget. She also knew when to steer us away from choices that would not achieve our goals. The result is a garden that we love and will continue to enjoy as it matures over the years." "Thanks to Joy Kuebler we were able to take four abandoned and garbage covered lots that were a blight on our neighborhood and turn them in to an attractive lush garden where residents converge and children learn to joy of gardening and caring for our environment. Pelion Community Garden at City Honors School began with the primitive concept from our school community and neighbors that the unused lots across from our school could be transformed from a neighborhood negative to an asset. Joy carefully listened and gathered the needs and interests of all parties to produce cohesive planning documents to help us move forward. The plans Joy developed provided a tangible vision that excited our stakeholders and funding sources. The end result is a hands-on learning opportunity for our students to learn about plants, food, healthy diet, science, and sustainable agriculture." "The students in Future City and I cannot thank you enough for your presentation. We loved your enthusiasm and you seemed to know exactly what we needed to hear. We got so many ideas for where to take our city! The students talked a lot about it this morning and I am re-energized! You made a great impact on students and on me as well. Thank you from the bottom of our hearts!"